Maintaining the correct chemical levels is an essential part of hot tub safety. Because viruses, bacteria, and other contaminants can live in hot, untreated water, be sure to regularly test your hot tub’s pH and sanitation levels. 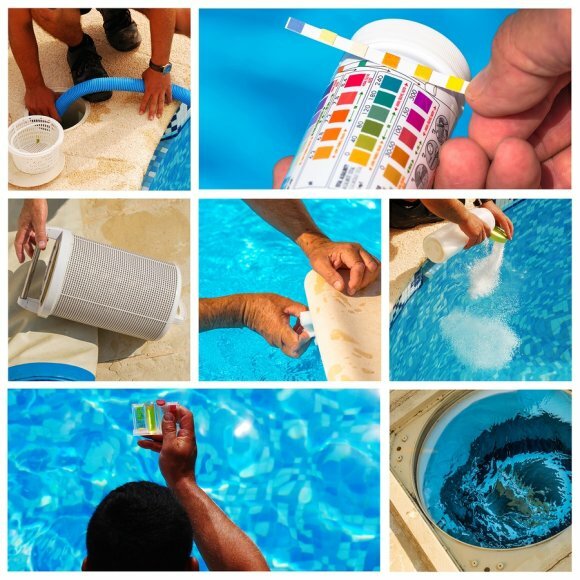 Your local swimming pool company can provide the test strips and chemicals needed to keep your spa’s water well-balanced. Hot tub and spa safety is particularly important for children. Because their skin is thin at this age and their bodies are more vulnerable to overheating, infants and toddlers should never be allowed in your hot tub. Additionally, young children should not use the hot tub until they are tall enough to have their head completely above water while they are standing on the bottom. Children who are tall enough to use the hot tub should only remain in the water for 5 minutes at a time to avoid overheating, and they should not submerge their heads. Also, children should never be left around a hot tub, or any type of pool, unsupervised. If you plan to remain in your hot tub for more than a few minutes, it is important to stay hydrated. The water not only heats your body, but also causes it to sweat. You may not notice because you are in the water, but your body is losing hydration and electrolytes while you soak in your spa. Always bring some water along and keep it at arm’s reach while you enjoy your hot tub. Using your spa safely and correctly ensures that your hot tub installation will provide years of enjoyment for you and your family. While you can perform routine pool maintenance on your own, you should use a reputable swimming pool company for more complex swimming pool services in Salt Lake City . A swimming pool maintenance expert will know exactly how to winterize and close your pool in the winter so that it remains safe when not in use. He will also be able to assist you in opening your in-ground pool or saltwater pool for use in the spring or summer. If you attempt to perform more complex pool maintenance or pool services on your own, you risk swimming in an in-ground pool that is unsafe for use. 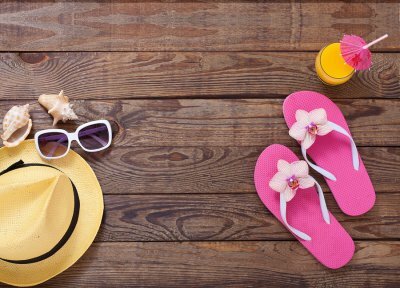 You also may not have the equipment or expertise to detect problems with your in-ground pool, such as a faulty pool heater or pump, clogged filters, small pool leaks, or unstable chemical levels. A pool maintenance expert can detect problems quickly, before they turn into more dangerous problems and require costly swimming pool services. Regular swimming pool maintenance is also time-consuming, and an expert can save you time and money by correctly and effectively performing pool maintenance. You also won’t need to purchase or store the equipment and chemicals necessary for specialized swimming pool services. When you make the decision to invest in a hot tub installation near Salt Lake City , your pool contractor can offer you a variety of hot tub design features. You will need to pick out pool tile, choose an energy-efficient pool heater, and consider additional water features for your hot tub installation. Here are some great tips that will help you work with your pool contractor on designing and planning your hot tub installation. Choose a site for your hot tub installation. If you already have an in-ground pool or are planning a simultaneous swimming pool installation, your hot tub will likely be installed adjoining the pool. If you have decided on just a hot tub installation without an in-ground pool or saltwater pool, you will need to decide where the hot tub will go. When making this decision, you should consider your existing landscape and any city, county, or state codes and restrictions. Consider how the hot tub will be used. Your new hot tub installation will be a relaxing oasis for you and your family. If you have young children, you will need to ask your swimming pool builder to construct a locking fence around your hot tub and in-ground pool, and you will need to purchase a secure hot tub cover. If you plan on using your hot tub for entertaining guests, you should ask your pool contractor about including water features, lighting features, stereo setups, an outdoor fireplace, and an outdoor kitchen with your hot tub installation. If you plan on using the hot tub for therapeutic purposes, you can ask your swimming pool company about accessibility options and specialized massaging jets. Hire an experienced pool contractor. You must hire an experienced, licensed, bonded, and insured pool contractor for your hot tub installation. Your pool contractor or swimming pool builder will know how to acquire the necessary permits and follow building regulations and codes when designing and installing your hot tub and in-ground pool. Be sure to check your pool contractor’s references and verify his credentials before beginning your hot tub installation. If you suffer from chronic arthritis pain, you should talk to a pool contractor near Salt Lake City about a hot tub installation on your property. The warm water in hot tubs and spas is incredibly therapeutic, and can provide pain relief and ease stiff joints and muscles. Your pool contractor can even include therapeutic water features in your hot tub installation, such as specialized massaging water jets. Watch this video to learn more about warm water and arthritis pain. Investing in a hot tub installation can improve your range of motion, flexibility, and blood flow, thus reducing your arthritis pain and improving your mobility. You can further enhance your hot tub installation and turn your hot tub or spa into a therapeutic oasis by installing an outdoor fireplace and outdoor kitchen on your hot tub patio.